Happy Valentine’s Day! This post is a day late because the computer ate it last evening. 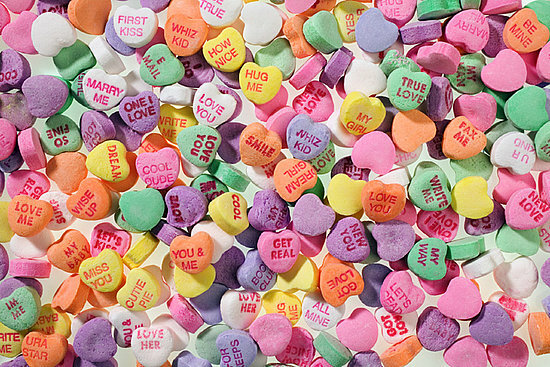 It’s probably my fault for including the photo of the candy hearts. ;0) I read that they have been around for more than a century! 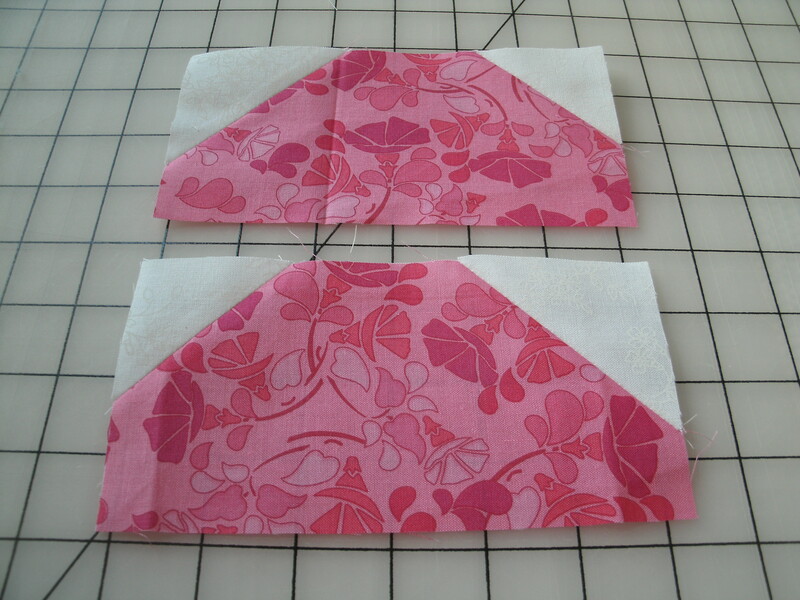 In lieu of candy cards or flowers, my Valentine to you is a quick and easy Candy Heart block. 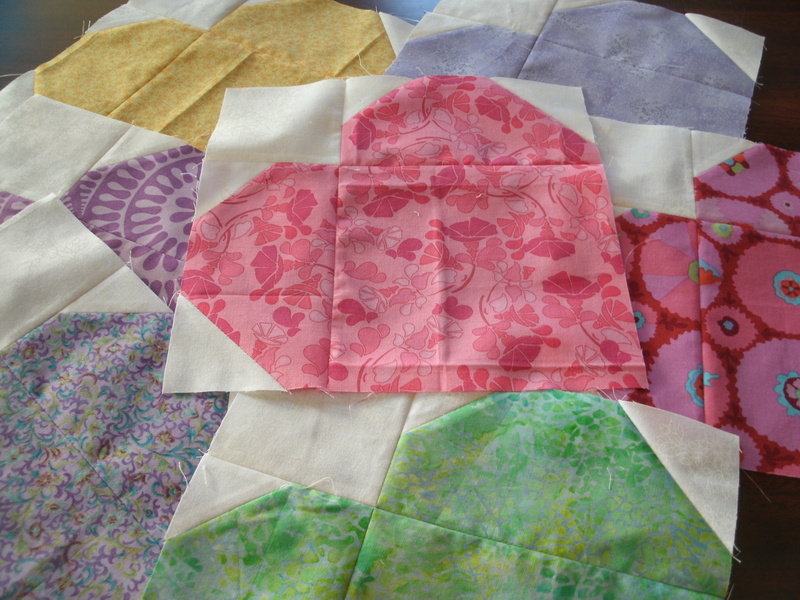 There are two options for making this 9″ (finished) quilt block. 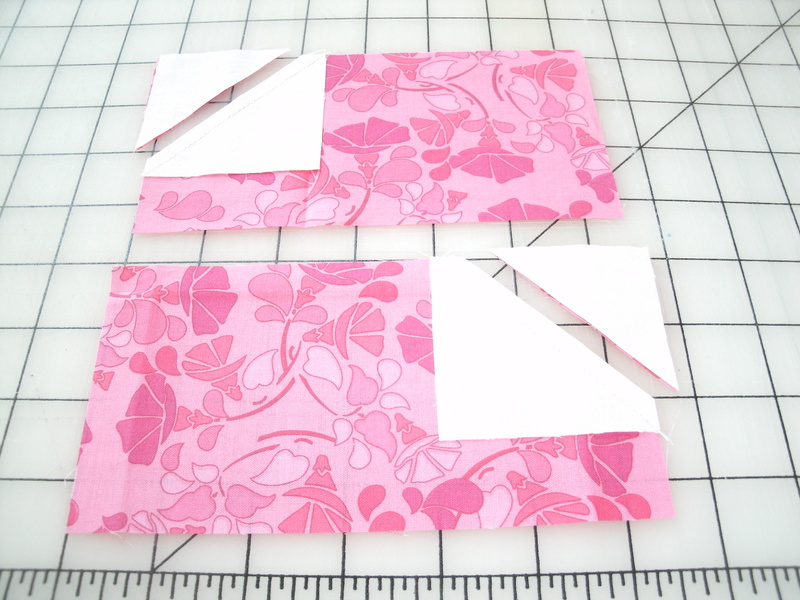 Step 1 – Use the Stitch & Flip method to put the 2.5″ white squares on opposite corners of the 3.5″ x 6.5″ print rectangles. Step 2 – Lay out your rectangles, the 6.5″ print and 3.5″ white squares and sew together to complete your Candy Heart block. How simple is that? White – One 3.5″ square, two 2.5″ squares and two 2″ squares. 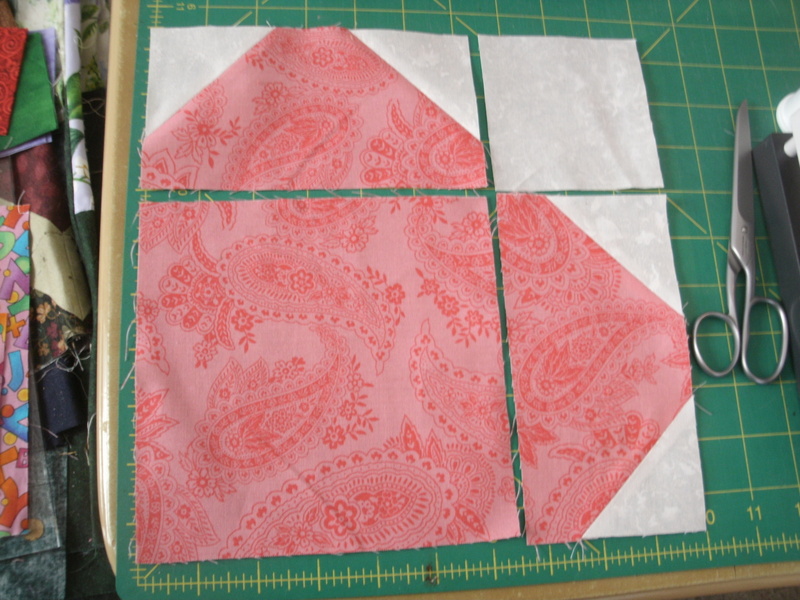 Step 1 is to cut the 10″ square. 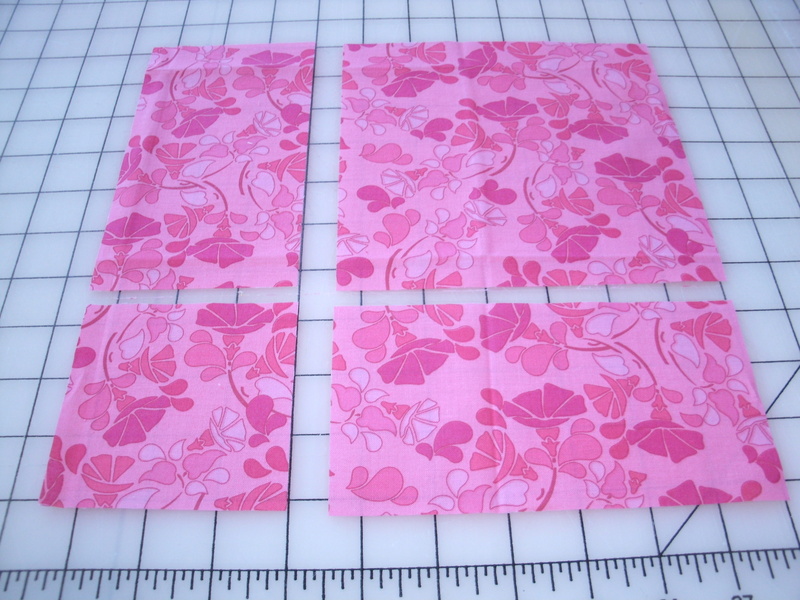 Trim 3.5″ from the left edge of the square, and 3.5″ from the bottom. This lives you one 6.5″ square, two 3.5″ x 6.5″ rectangles, and a 3.5″ leftover. 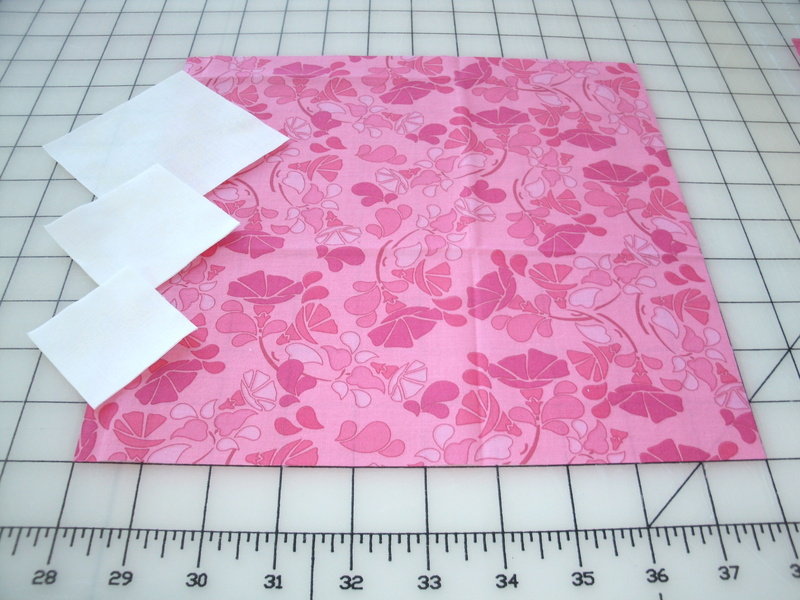 Step 2 – Use the Stitch & Flip method to put the 2.5″ squares on the top left corner of one print rectangle, and the top right of the other rectangle. 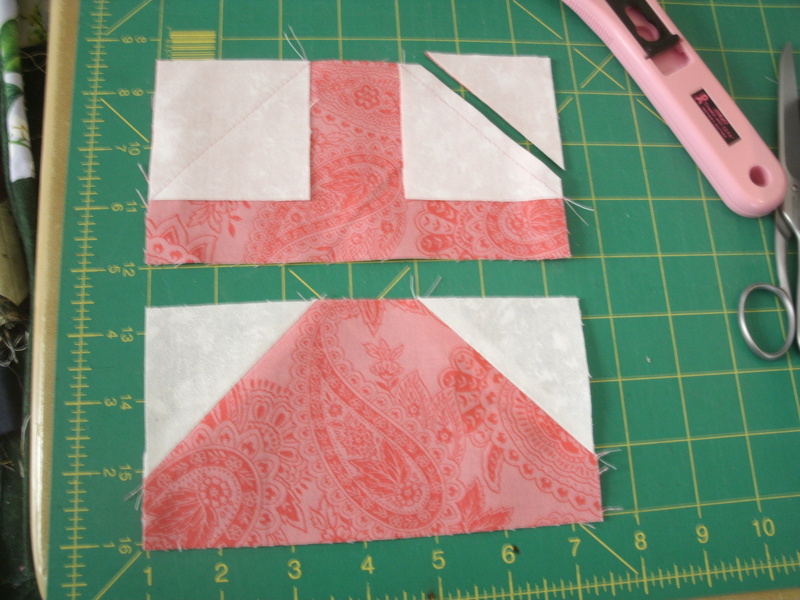 Step 3 – The 2″ white squares go on the opposite corners of the rectangles. 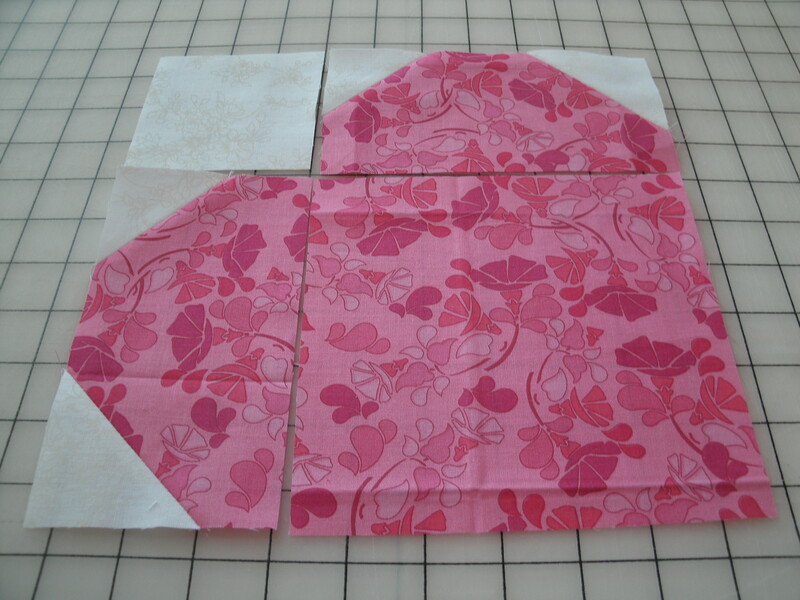 Step 4 is to lay out the rectangles, the 6.5″ print square and 3.5″ white square and sew the Candy Heart block together. I made a mess of these blocks in various candy colors. You could applique, embroider or print a little note on each one, if you want to. 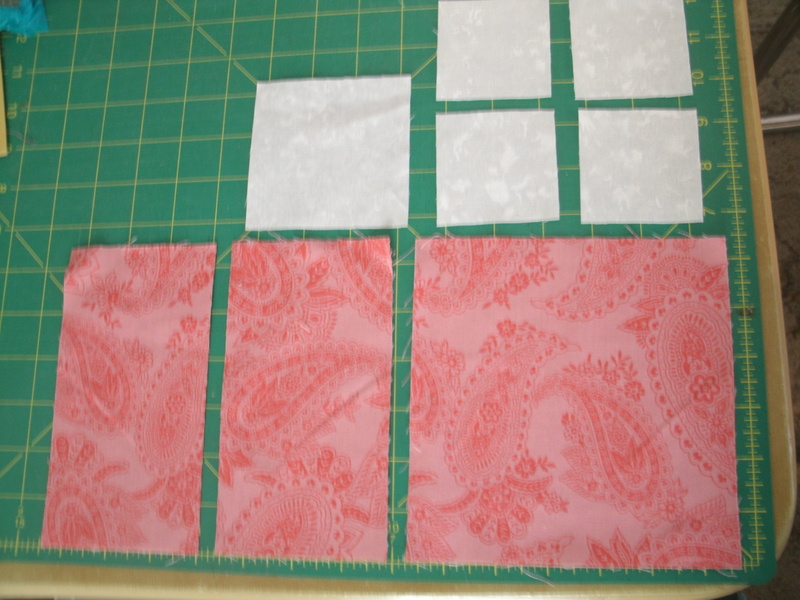 I think I will probably put my blocks together with 3″ (finished) white sashing and use those leftover 3.5″ print squares as the cornerstones. 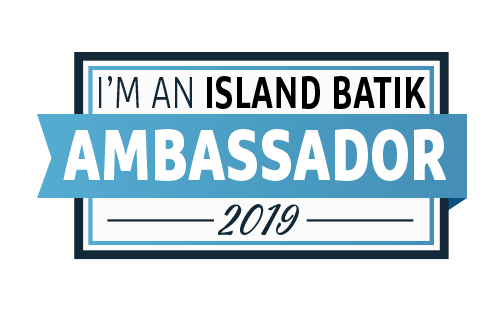 I’m not sure if I’ll set it straight or on-point. Suggestions?